Whole wheat bread: Also known as wholemeal bread, whole wheat bread is bread with wheat that hasn’t undergone refinement. This means that it contains all wheat grain kernel parts, from starchy endosperm to nutritious germ to fiber-rich bran. As such, whole wheat bread is more nutritionally dense, being loaded with fiber, B-complex vitamins, magnesium, zinc, and iron. And while whole wheat bread is full of nutrients, it also has a low GI number and is therefore good for diabetics. Whole grain bread: Just like whole wheat bread, wholegrain bread is made of unrefined grains. 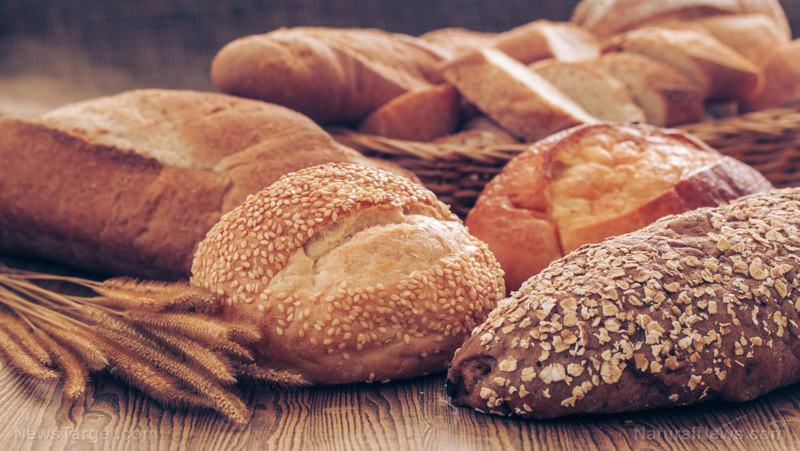 In this case, whole grain bread is made of unrefined seeds and cereal grains such as oats, barley, and rice. Whole grain bread in general is good for you. But it can be even better, depending on the grains used. According to the DailyMail.co.uk, soy and linseed is one such example as it has omega-3 fatty acids. These are essential nutrients that can help you manage your blood pressure and cholesterol levels. Multigrain bread: As implied by the name, multigrain bread contains more than one type of grain. Oats, wheat, and even quinoa get tossed into multigrain bread. Does that make it the healthiest kind of bread? Not quite. As per RealSimple.com, there’s no guarantee that the grains in multigrain bread haven’t been subjected to processing that removes the important bran and germ. You’ll know this to be the case if you see the words “enriched” or “bleached” are included anywhere on the label. Sprouted grain bread: Similar to whole grain bread, sprouted grain bread is a whole grain food containing a wide array of grains, and even legumes. The key difference between the two breads is that sprouted grain bread is made from kernels that were allowed to sprout prior to baking. That’s only in terms of physical description. Nutritionally speaking, sprouted grain bread has two important advantages over whole grain bread. The first is that sprouted grains are easier to digest than other whole grains, so you’re less likely to experience any stomach problems with sprouted grain bread. The second is that the sprouting process is believed to enhance the bioavailability of some vitamins and minerals, so your body can absorb these nutrients with greater ease. Sourdough bread: Unlike most breads which are made from baker’s yeast, sourdough bread uses the naturally occurring wild yeast and lactic acid bacteria present in flour. This makes it healthier thanks to its considerable folate and antioxidant content, and its lower phytate levels which allows your body to take in the bread’s nutrients with less difficulty. In addition, sourdough bread has minimal amounts of gluten, meaning it’s an excellent dietary option for gluten-sensitive people. Rye bread: If you’re looking for a bread that can aid you in your weight loss goals, choose rye bread. Rye has been shown to curb body weight gain and satisfy the appetite for longer periods of time. Moreover, whole grain rye bread can lower cholesterol levels and even improve insulin sensitivity. Choose the darker-colored rye breads to enjoy the most health benefits. Overall, whole grain and whole wheat are the healthiest choices. However, they may not necessarily be the best for you, particularly if you’re sensitive to gluten or are trying to lose some pounds. In these cases, opt for sourdough bread or rye bread. But as with anything, it’s all about moderation, so you can definitely enjoy the occasional slice of white bread if you want. Just make sure to go for the healthier, better picks most of the time. Want to know what other foods good or bad for you? Then simply go to FoodSupply.news today.